Displacing more than 44,500 tons, the USS ALABAMA measures 680 feet from stem to stern, half as long as the Empire State Building is tall. 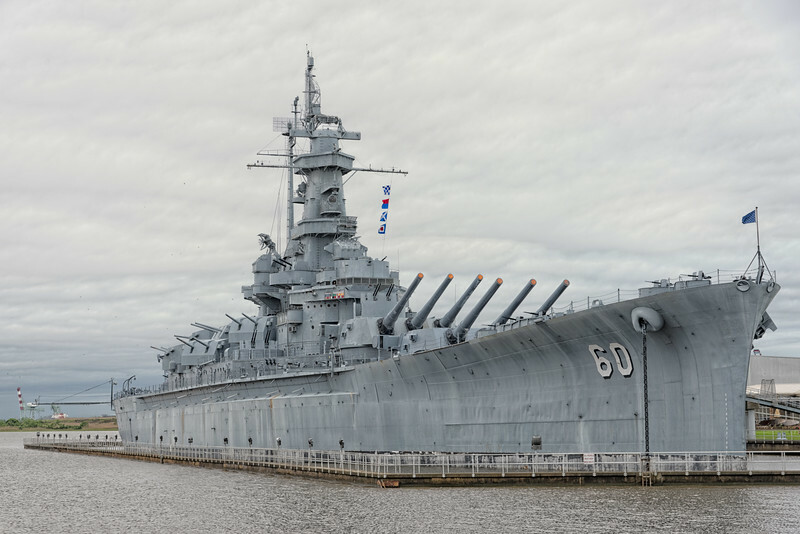 Armed with nine, 16-inch guns in three turrets and 20, 5-inch, .38-caliber guns in 10 twin mounts, her main batteries could fire shells as heavy as a small car accurately for a distance of more than 20 miles. Alabama is now a museum in Mobile, Alabama.